Thank you for a great quarter. Course grades have been posted to moodle, including final exam, SONA, extra credit papers and the clicker-exempt adjustment. Please try to resolve any questions before Wednesday, as that is when I'll be uploading to the UCSD grading system. Final exam analysis is posted. Unlike the tests, the questions will not be posted online. How does the nervous system enable us to see, remember, think, act and feel? 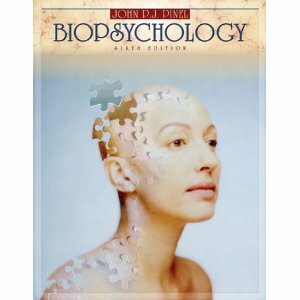 This is an intro course at the intersection of psychology and neuroscience. That means that we will be learning about the details of neurons, the retina, the frontal lobe and the hippocampus (to name a few topics) to help us understand human behavior. The course will be organized in 4 units, each lasting about two weeks and having a multiple choice exam. These exams will be worth 50% of your grade with the cumulative multiple choice final worth 40%. The other 10% will consist of in class questions answered with iClickers (you'll only have to answer half of the questions correctly to get full credit, so low pressure). The class will be tightly integrated with the textbook, so expect to read as necessary. Notes will be available online and the lectures will be podcast. 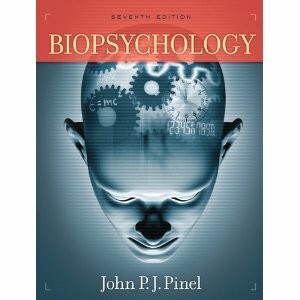 Physiological and psychological mechanisms underlying selected areas of human behavior. 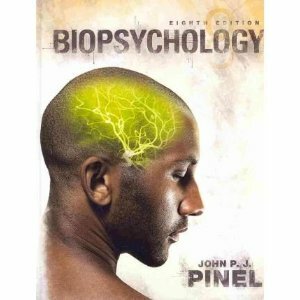 Emphasis on sensory processes, vision, and the neuropsychology of motivation, memory, and attention. The final exam will be multiple choice, cover the full course, and is worth 40% of your course grade. The course will be organized into 4 main units. Each unit will last 2-3 weeks and have a unit test. After each lecture, video podcasts will be automatically available on the ucsd podcast site here. I will periodically copy these videos to Youtube because the interface is better. If you do not see a link for a YouTube lecture in the calendar above, check the ucsd site in the interim. Clickers are required for this class starting in week 2 (Monday, October 8th). In each class, there will be live questions which you will respond to individually and after group discussion. 10% of your course grade will be based on your Clicker answers. You will only need to answer half of all questions correctly in order to receive full credit. This means you can attend all classes and only get half the questions right, or attend half of the classes and get all of the questions right, or some combintion between. EXEMPTION: If you score 90% or higher on the Unit 1 Test, you will be exempt from Clicker questions. This is to allow students that can master the material to choose their own level of class room participation. Your grade will based on the higher of these two calculations: a no-clicker grade based on 56% tests and 44% final exam -OR- a standard grade based on the outline in the "Grading" section above. Note: if you get 100% on clicker participation, the standard grade calculation will be higher than the no-clicker calculation. This means that even if you are exempt, there is the potential to further boast your grade with good clicker performance. The 6th edition (and older) may be okay, but I haven't checked them and won't guarantee that they will have all content or that the chapter organization will be similar. There will be 4 unit tests throughout the quarter. These tests will be multiple choice and take the full class time. No notes will be allowed. See the calendar for dates and topics of the tests. Test scores will comprise 50% of the grade. There is no assigned homework other than readings. Paper: Alternatively, individuals not wishing to participate in experiments can write a 3-4 page paper on a topic of their choosing relating to biopsychology. Paper topics must be cleared with the instructor no later than Nov 30th and emailed or handed in at the beginning of class on Dec 7th. Format: 3-4 pages double spaced, cite your works, can include images but does not count toward length, email or print ok.